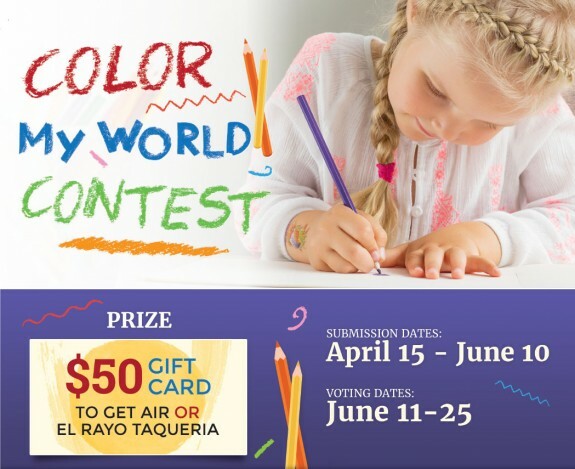 Color My World Coloring Contest! Howard Orthodontics would love for you to share your creativity with us, by participating in our Color My World Coloring Contest! We are giving away one $50 gift card to El Rayo Taqueria or Get Air trampoline park! Click here to visit our contest page for more information and to download the coloring page. Good Luck and Have Fun!